New and modern permanent treatment that will result in custom made, beautiful waves. ..
New and modern Dulcia for a more ‘classic’ & ‘traditional’ curl result. Force 1 for a classic..
New and modern Dulcia for a more ‘classic’ & ‘traditional’ curl result. 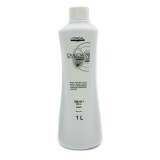 Force 2 for a classic..
Schwarzkopf Natural Styling Hydrowave Glamour Wave - 1L Solution Return of th.. 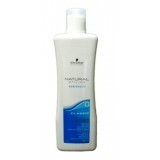 Extra conditioning for damaged coloured and sensitive hair For long lasting curls ..
For coloured and sensitive hair For long lasting curls Caring formula Cont..
Schwarzkopf Natural Styling Neutraliser - 1L Solution This is the Natural Sty..
Schwarzkopf Natural Styling Hydrowave Glamour Wave - Single Perm Return of the per..